Authentic Mediterranean terracotta cooking pots in a deep indigo color. One of the healthiest ways to prepare juicy & full flavored meals. Each ceramic piece is handmade with care by experience local craftsmen: Made from high quality red clay, wheel thrown, then coated and on top glazed for food safety. 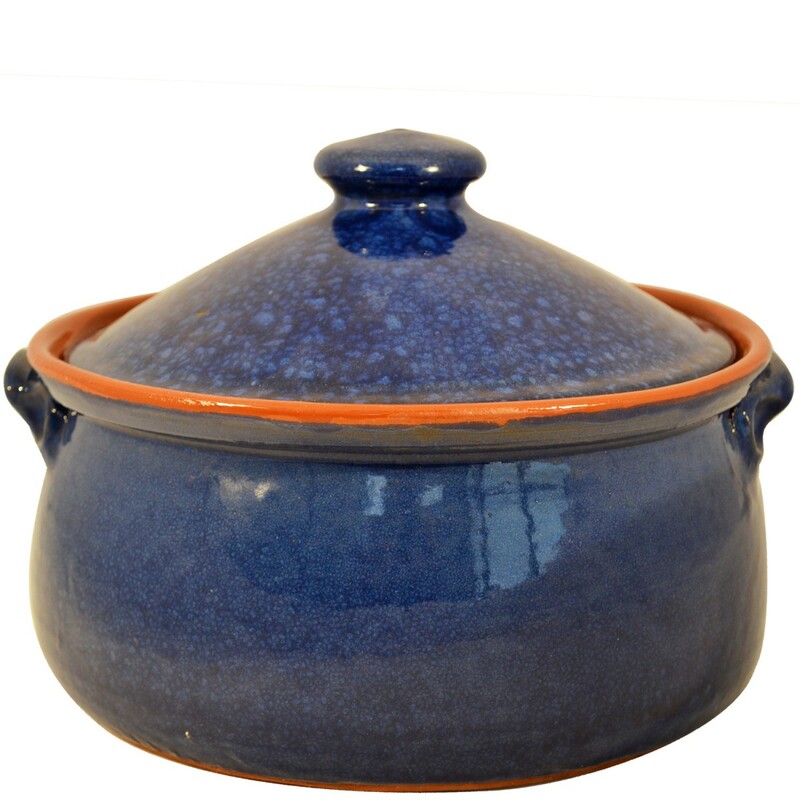 pot: d.: 23.5 x 11.5 cm, lid: d: 21.5 x 6 cm, 3 lt | d:9.1" x 4.5" , 8.5" x 2.4"
Oven-Use only. Do not pre-heat oven before each use. Before 1st use: Put it in the oven for 1 hour at 80oC full of water & half a cup of oil.